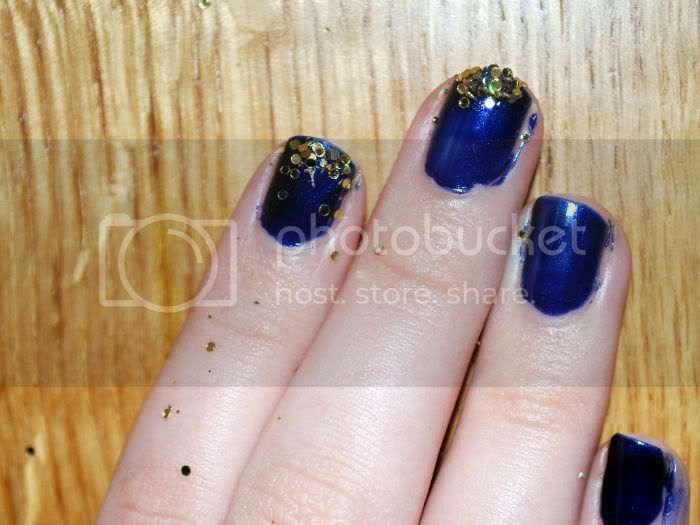 I've seen lots of nail art/tutorials recently so i thought i'd do my own. Next, choose your colour. 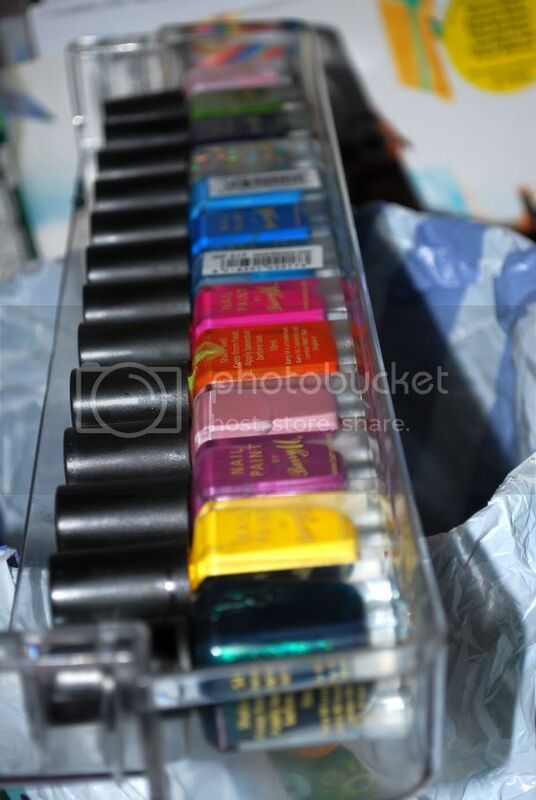 I always use barry m. The best nail varnish I've ever used. 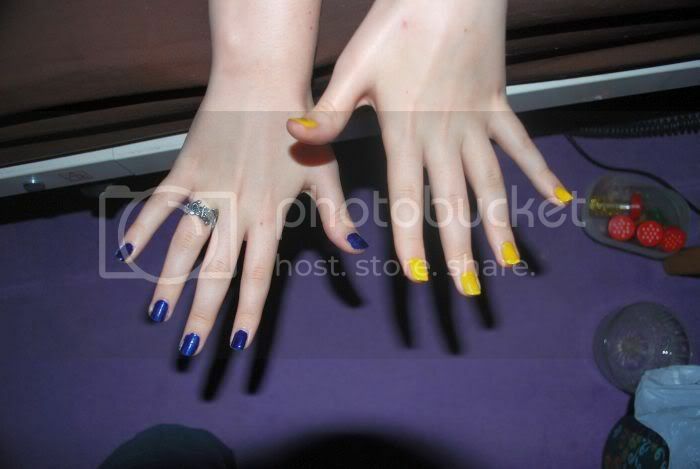 I went with one hand (27) navy blue and the other hand (134) yellow, almost the opposite ends of the colour chart. Paint your first layer as normal. 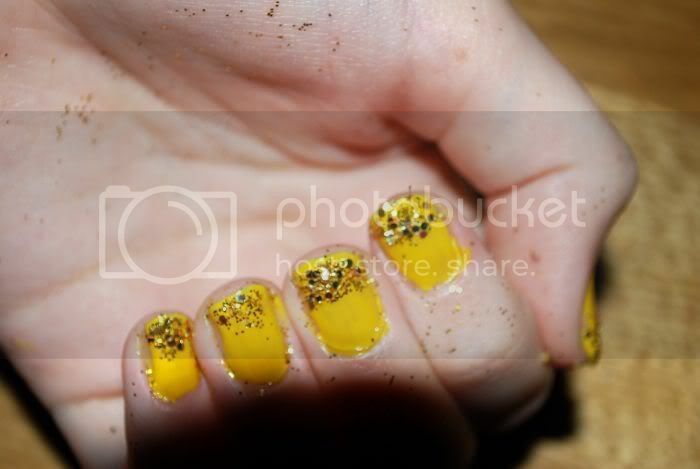 I put a bit of the varnish on the tip of my nail and then put my nail in a pot of glitter. A bit messy, maybe, but totally worth it. 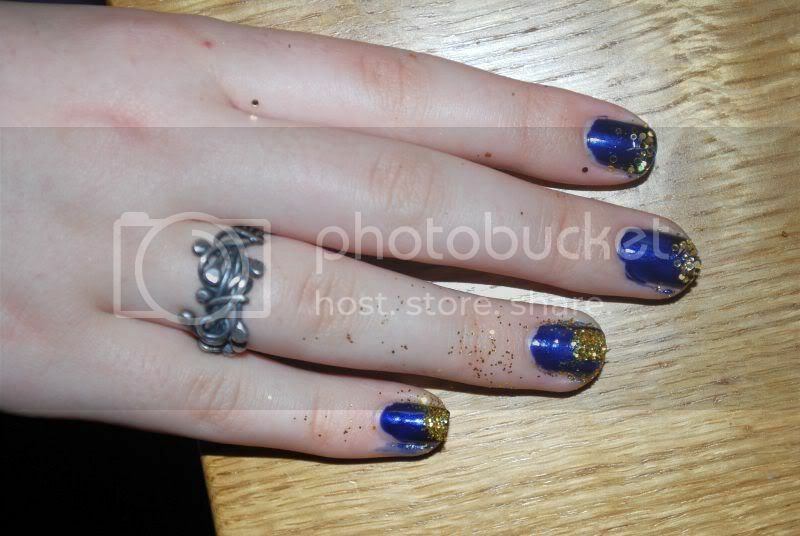 I couldn't decide whether to use fine glitter or bigger particles so i did two fingers of both. I preffered bigger. Now for the other hand. Same as above. 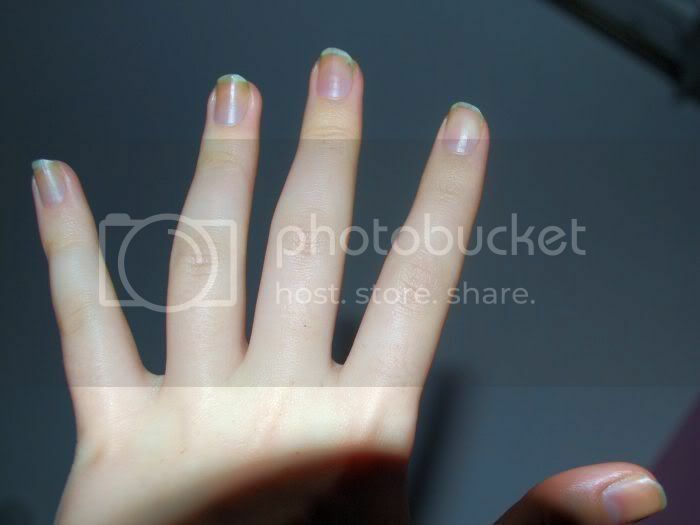 It will all work a lot better if you use a thin layer of a top coat clear nail varnish to finish.